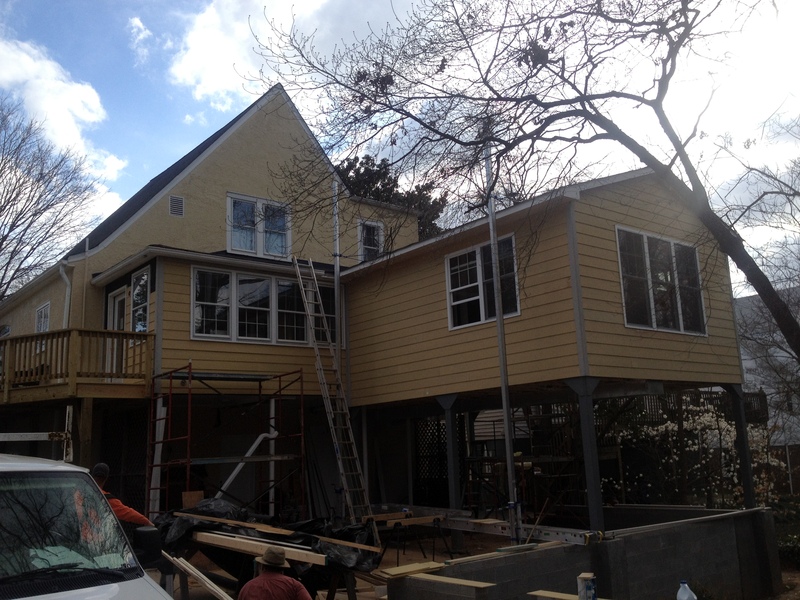 Wilson-Covington is proud to be completing a bedroom addition in the Historic Ardmore neighborhood of Winston-Salem, NC. The addition, combined with a bathroom remodel, will create a new master suite in the home. Work has included installing a masonry retaining wall, concrete piers, and steel posts to carry the load of the new structure. A new deck was also constructed and designed to conform to the curve of the existing driveway. See below for some before and during photographs.